Why did a shy farm boy from North Dakota and an obstreperous 17 year old from South Dakota meet in Colorado? How did they forge a relationship that has lasted more than six decades? Lois Hjelmstad, author of Fine Black Lines and The Last Violet, now shares her poignant story of a marriage that has thrived against the odds. Richly detailed, with a deep understanding of life. Produced by DarkFire Productions and narrated by Starla Huchton. We will send This Path We Share: Reflecting on 60 Years of Marriage to your Kindle at . 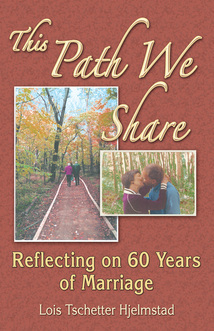 This Path We Share: Reflecting on 60 Years of Marriage has been sent successfully to your Kindle!